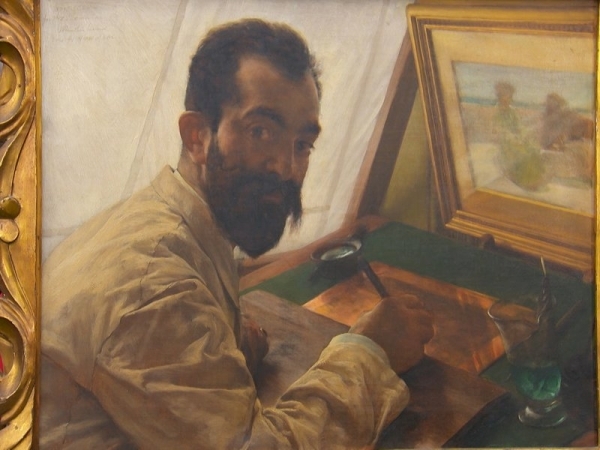 In 1883, Alma-Tadema painted a portrait of his friend and engraver Leopold Löwenstam as a wedding gift; the portrait depicts Löwenstam at work. Exhibited on several occasions, it was last shown publicly in 1913 and art historians have long considered it lost. The painting actually remained in Löwenstam’s family and was brought to the “Antiques Roadshow” by his great-great-grandson.